" 'KOE' means voice, and our voice is a hidden dance of our own life. 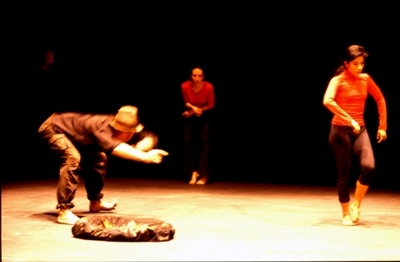 KOE is a 'living performance', where inner movement is born from deep breathing. 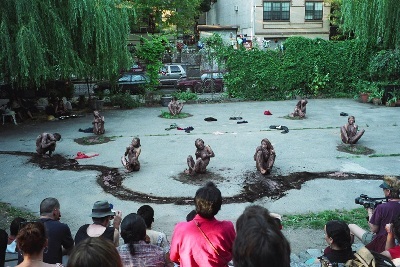 We walk away from the linearity of society and dance Butoh to return to the origin　of Life." 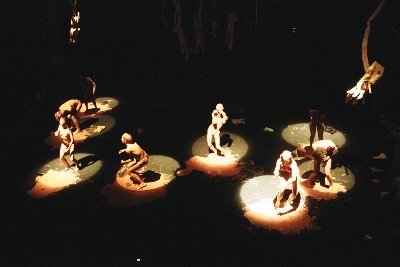 Art: Red mud river arranged on the front stage like big dragon snake. Copyright 2006 © Globe JINEN All rights reserved.